The New Mark of Westminster Heritage Collection Chess Pieces are here! We’re still taking photos of the new metal chess boards and expanded board size collection (as well as a number of new chess board styles from one of our manufacturers in Poland). 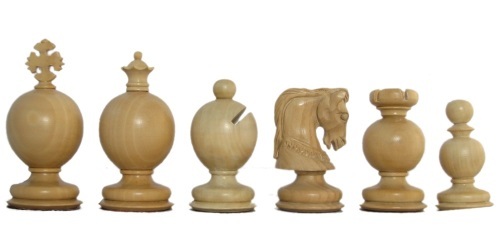 However, the new collection of hand carved staunton wood chess pieces has arrived and is now in stock. As we’re gearing up for memorial day we thought we’d take the time to introduce you to all of the new designs. The Mark of Westminster Heritage Collection features some of the finest heirloom quality chess men available today. 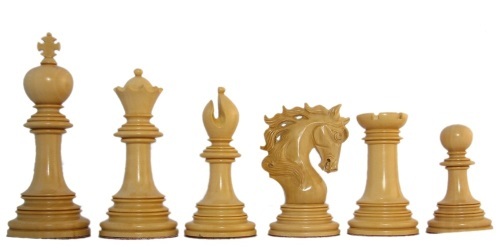 These chess pieces are extremely well weighted and each set includes extra queens. 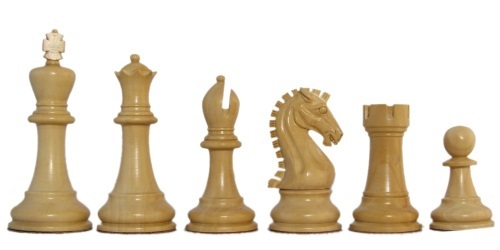 These Staunton chess sets feature intricate hand carved chessmen with red leather bases. Each set includes a certificate of authenticity as well as the Mark of Westminster logo beneath each king. Without further ado, here is the new line up! This design is available in Ebonized, Honey Rosewood, Cardinal Rosewood, Ebonywood, and Crimson Rosewood in two different sizes – 3″ and 4″ King. This design is available in Ebonized, Honey Rosewood, Cardinal Rosewood, Ebonywood, and Crimson Rosewood in two different sizes – 3″ and 3 3/4″ King. The Palatine chess pieces feature a more exotic Staunton design. The pieces are sloped with a teardrop like trunk and slender like elegance. The queen features small balls on top of each point of her crown, and the knight has an extremely detailed curly mane. This design is available in Cardinal Rosewood, Ebonywood, and Crimson Rosewood in two different sizes – 3 1/2″ and 4 1/2″ King. This design is available in Ebonized, Honey Rosewood, Cardinal Rosewood, Ebonywood, and Crimson Rosewood with a 3 3/4″ King. The unique Baron design is an unusual take on Staunton with an urn-like shape for each of the pieces that are topped with the traditional head of the corresponding piece. Of note is the unique bishop who is simply an oversized bishop ‘head’, and the knight which has a tilted, almost quizzical look along with necklace like fineries. This design is available in Ebonized and Boxwood with a 3 1/2″ King. The Landgrave is one of the most detailed chess sets we have ever seen. This premier set feature pieces with a large number of embellished details. The king has a more unique rounded cross atop a rounded head, a large wide mouthed bishop, and a knight with a flowing wavy mane. This design is available in Ebonywood and Crimson Rosewood with a 4 1/2″ King. 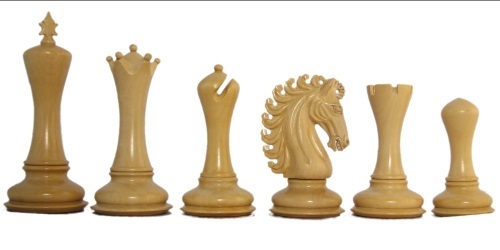 The Archduke chessmen is one of the finest chess piece sets available today. The knights are fully carved horses rearing as they prepare for battle, and the unqiue, wide-mouthed bishop and rounded cross for the king add additional detail to an already amazing set. This chess set is quite obviously delicate so is best suited as a display piece. This design is available in Cardinal Rosewood, Ebonywood, and Crimson Rosewood in two different sizes – 3 1/4″ and 4 1/4″ King. The smaller size has not hit our store yet, but should arrive soon. 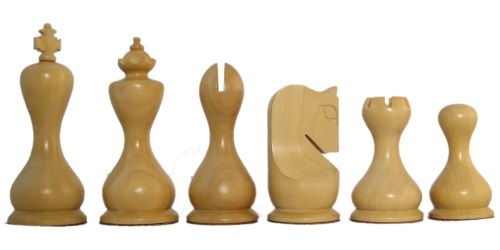 Take a look at all the new chess pieces! The Mark of Westminster Heritage Collection will soon arrive on our staunton chess piece page, as seen here. 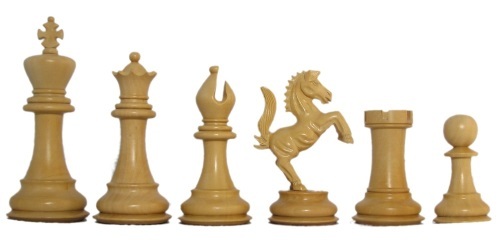 The chessmen are organized by wood type and chess piece size – right now the best way to find them would be searching for their name, or just looking over all the awesome chess sets on our website. I hope you enjoy taking a look at all the new pieces – but you might not want to purchase right now – you might want to wait until later today. A little birdy has told me a memorial day coupon will be available on our blog post sometime this evening! 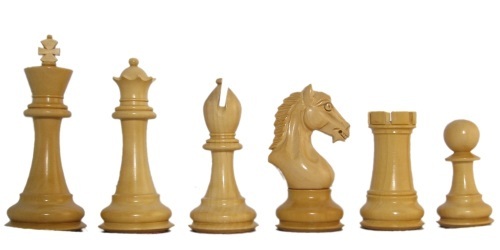 Click Here to get started and view our dozens of chess sets, pieces, boards and more. Either way stay up the excellent quality writing, it’s rare to look a great weblog like this one today.. I found the blog very interesting with relevant information. Selection of wooden chess material and designs was very attractive. Reading your blog really made my day with more innovative ideas. ThankYou. What beautifully modeled chess pieces! 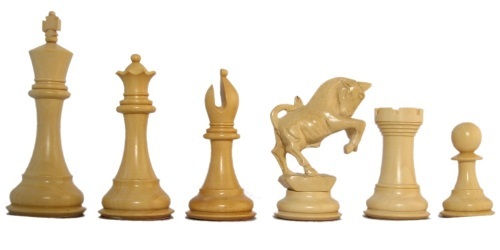 I love to see all the sorts of chess sets out there, especially ones with cool themes to them. Thanks for sharing these works of art!